This is a classic painting by the self-taught French painter Henri Rousseau. Best known for his jungle scenes, 'Carnival Evening' is a portrait landscape. 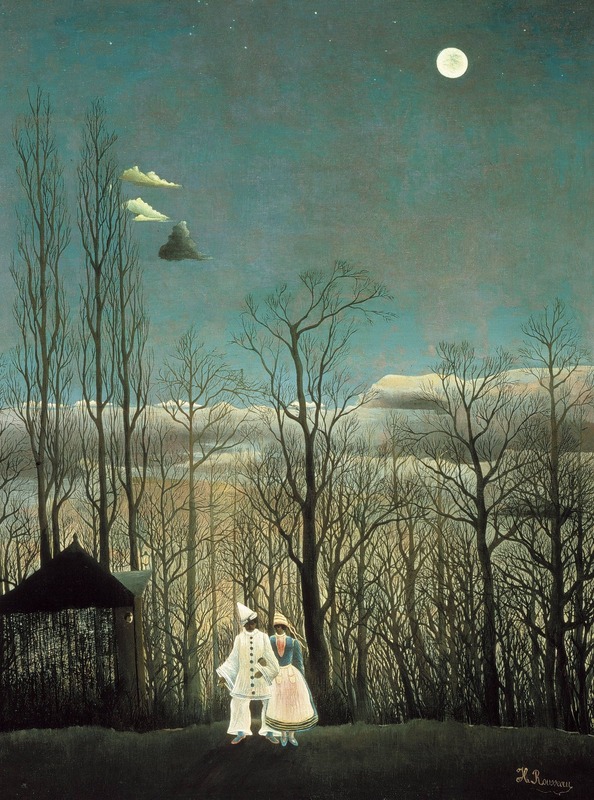 The dark detailed trees set against the brightness of the moon and the unexpected pictorial element of a lone couple in the foreground demonstrates Rousseau's proto-surrealist style.